Sun Dermatology is highly experienced in Skin Care Surgery and have done hundreds of surgical removals of growths and skin cancers including cysts, lipomas and unwanted or abnormal moles. All of the surgical procedures done at Sun Dermatology are performed in an outpatient setting under local anesthesia, are as non-invasive as possible and are always performed with the latest equipment and processes to ensure you recieve the best results possible. It is our goal to make sure you are fully educated about your procedures, that you are fully involved in the decision-making process. 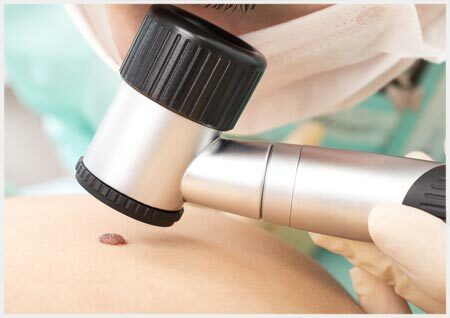 The Mohs procedure involves surgically removing skin cancer layer by layer and examining the tissue under a microscope until healthy, cancer-free tissue around the tumor is reached (called clear margins). Because the American College of Mohs Surgery is specially trained as a cancer surgeon, pathologist, and reconstructive surgeon, Mohs surgery has the highest success rate of all treatments for skin cancer – up to 99%. American College of Mohs Surgery approved fellowship training programs are significantly more rigorous than other Mohs programs. ACMS fellows-in-training undergo months of extensive, hands-on direction from highly qualified instructors. By choosing a fellowship trained Mohs surgeon you can be assured that you will receive the highest standard of quality and competency, as well as an optimal outcome. 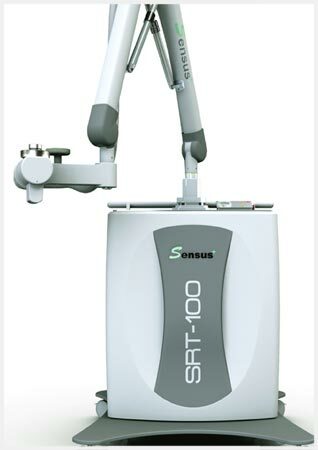 At Sun Dermatology we are proud to offer superficial radiotherapy (SRT) with the SRT-100 from Sensus Healthcare as a non-surgical treatment for skin cancers. This treatment offers excellent cure rates nearing 95%, short treatment sessions, all with no anesthesia, cutting, or pain. Additionally, there is no downtime or lifestyle restrictions required. Dr. Sunseri has extensive experience in surgical reconstruction and scar revision. Whether scar revision is performed surgically, with the use of lasers, or a combination of both, Sun Dermatology has all the necessary tools to improve the appearance of scars. From post-surgical, traumatically induced, and acne scarring, we can improve the appearance of most scarring processes. Dr. Sunseri is fellowship trained in all aspects of dermatologic surgery including benign and cancerous lesion excisions. Dr. Sunseri also performs cosmetic surgical procedures such as cosmetic removal of moles (nevi).